From the South Derbyshire Circus Collection, this is one of four Circus Animal Cages in stock. This one is a scarcer later edition with lions. 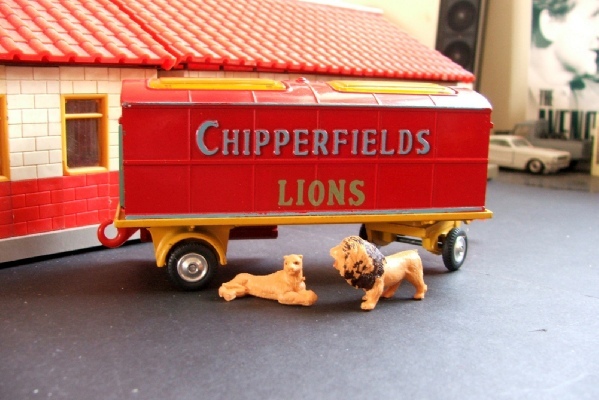 It has the two original lion and lioness models and the blue plastic sliders and doors. It is in excellent condition throughout. The original box is of the sturdy lift-off type and this is good with some staining along one edge and wear on all the edges too. The original lion transfer supplied has been affixed correctly and very neatly indeed.